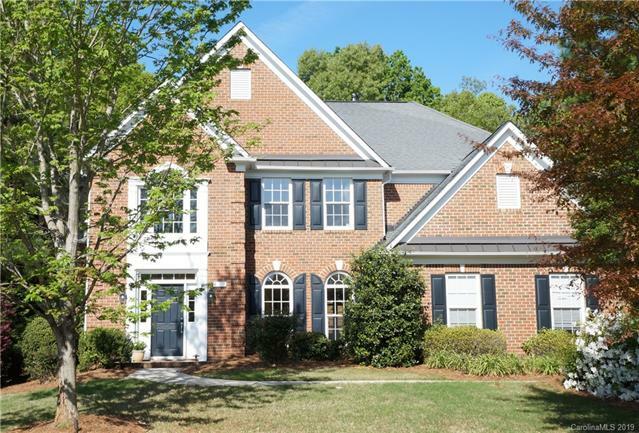 Full Brick with 5 Bedrooms,( includes Bonus w/En-Suite) Office, Impressive 2-Story Foyer w/Elegant Staircase, Large Dining Rm Opens to Great Room-Double FirePlace graces both Gt. Rm & Family Rm which Opens into Wonderful Kitchen w/Double Ovens, Granite Counters and Cabinets Galore! Sunny Breakfast Area looks out to Private Backyard. Wonderful Large Deck w/Retractable Awning extends the Living Area of the Home. Guest Suite on Main, Spacious Master Suite w/Walk-In Closet, High Double Vanity in MBath. 3 Add'l Bed-Rms Up + 2 Full Baths. Office/Bonus is perfect for many uses. Added Plus * 3 Car Garage!! Top Schools, Wonderful Walkability - Close to Arboretum, Matthews and easy access to I-485 & UpTown Charlotte!